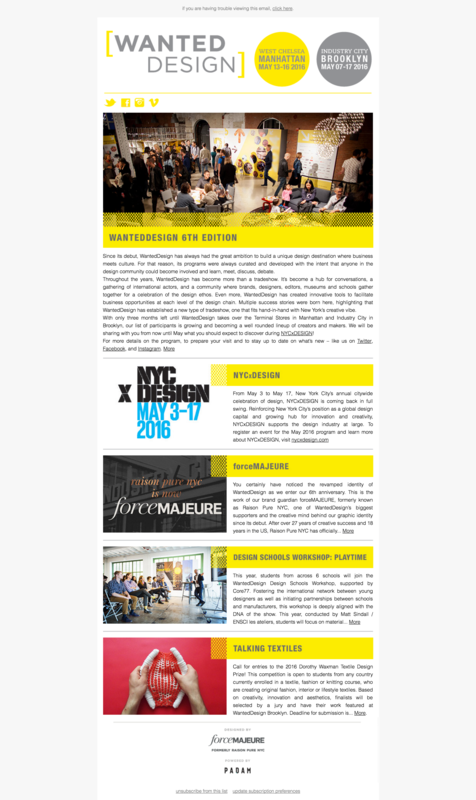 Create enewsletter content for 4 months, leading up to the perimire event, the tradeshow during NYC design week. Designed the template, wrote the copy and edited and formated images. Design, gernate, coordinate and organize the enewsletter content for the monthly news blast. Design and coordinate graphics — content generation with various staff members in Basecamp, wrote various sections of the newsletter, sourced images and designed graphics.